Kanye West is the most controversial, paradoxical musician of the past quarter century. He’s brilliant and a moron, refined and vulgar, self-conscious and gregarious, beloved and hated. He’s the best and the worst, and that’s a big part of what makes him so fascinating and appealing as a musician. He treats music the same way he treats his other calling, fashion: Though often composed of old ideas, it’s always fresh and wholly original. If you ask me, Kanye West is nothing short of a visionary. In this retrospective, I’m going to trace his artistic development and consider what makes Kanye so distinct. 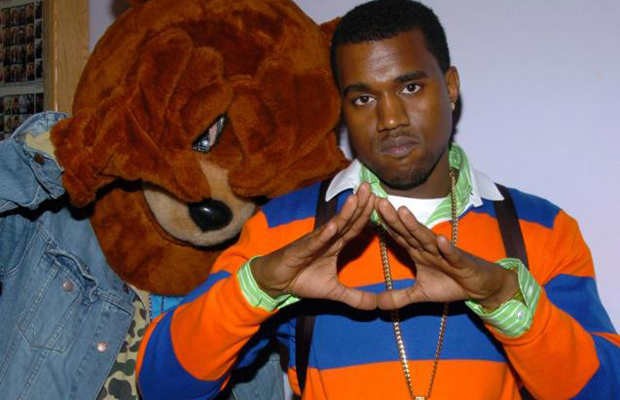 Kanye grew up middle class in the suburbs of Chicago. During his early 20s, he started producing for some small time rappers, “ghosting” for producer D-Dot. West’s cachet grew as he formed a rap group called Go-Getters, and he subsequently landed some major producing jobs. His public breakthrough — at least in the music world — came when Jay-Z hired him to produce about a third of his comeback album. 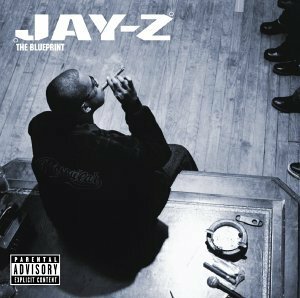 The Blueprint changed the course of the careers of both Jay-Z and Kanye West, the latter of whom immediately thrust himself into the discussion of great producers active at the time. But Kanye would never be satisfied to be an extra in somebody else’s show. He started pursuing a contract as a rapper. He had two big marks against him in this pursuit. The first (and smaller) problem was that West had developed a reputation as a producer, and the norm at the time was that rappers and producers did not often cross-pollinate. You were an emcee, or you worked the computers, and that was that. 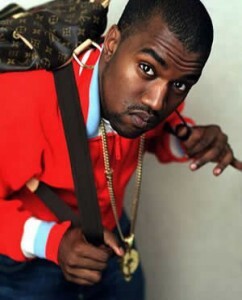 An even bigger commercial concern for labels was that the fashion-conscious Kanye did not cultivate a “gangster” image unlike virtually every other rapper at the time. He wore polo shirts and carried his laptop around in a backpack. Nobody — including Jay-Z, his highest profile supporter — thought West would make it as a rapper. But with the threat of West, a prized producer, leaving for another label, Roc-A-Fella offered him a contract. Kanye went to work, reinventing the paradigm of recording rap as he went. He produced his own raps, meticulously producing them on his own computer. Kanye’s signature flourish of the time was speeding up samples from old soul records to make the voices high-pitched, so he carried piles of soul CD’s around with him. The fate of his music career was forever changed in late 2002 when he suffered an awful car accident. He needed reconstructive surgery on his face and had his jaw wired shut. While his mouth was wired shut, he recorded “Through the Wire” on top of a sample of “Through the Fire” by Chaka Khan. “They can’t stop me from rapping, can they?” he blurted in the opening line of the song. The track provided a catalyst for Kanye’s most powerful, recurring themes: Nobody believes in me, I gotta make it on my own and do things my own way. An early cut of “Through the Wire” dropped with a limited release mixtape called Get Well Soon. The track floated around online and earned a reputation as a minor masterpiece. Buzz for Kanye’s album began to build. Despite a leak of a rough cut of his album, Kanye slowly and obsessively produced and mixed his album, repeatedly delaying the release. 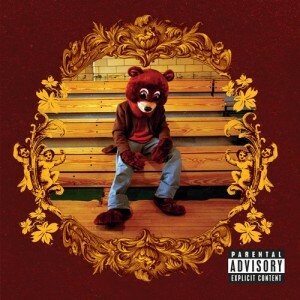 Finally, in February 2004, The College Dropout released. The rap industry collectively picked up their jaws off the floor as they listened to Kanye’s 21-track behemoth. The rapping is solid and extremely unique. Kanye, like Eminem, is a great enunciator and dramatist. There’s a fantastic sense of rhythm to his flow. His rhymes are often hilarious, often incisive, and occasionally clunky. His topics were a bit of jolt: religion, sexuality, materialism, addiction, and more. No booze-and-booty party jams here. Even if he’s not always as sharp a tongue as some of his contemporaries, he was at least trying to say something bigger with his music, which made him one of the few in mainstream rap. But it’s the production that really steals the show. No rap music had ever sounded quite like The College Dropout. His work on The Blueprint was a preview, but Kanye pulls out all of the stops. He makes clear he’s not a one-trick pony; he can do more than speed up soul records. Strings, choirs, and samples blend into beautiful, distinct backgrounds. It’s not a perfect record. The “skits” interspersed between his songs bloat the album and are not worth listening to more than once. That makes it a tough cover-to-cover listen. Kanye was learning as he went, too, so the album is not very consistent. A handful of the tracks here rank among the least compelling he’s recorded, but some of them are among his best. Perhaps the reference point for how great The College Dropout is: “Through the Wire” — which was the reason many people bought the album — is not even close to the best song on the album. It’s maybe #3 or #4. The critics adored the album, and it instantly went down as one of the all-time great debuts in hip hop history, if not rock and roll history. But Kanye was just getting started. His name recognition high, his pockets lined, he hurried back into the studio. He set his sights on making his music sound more orchestral and “big.” After some disappointing early recordings, he hired film composer Jon Brion to shed some light on symphonic music. As Brion navigated Kanye through the orchestral arrangements of the album, Kanye wrote the rhymes. Kanye expanded his choice of topics even further, and made his lyrics more emotional than they had been on the debut: Songs about his supportive mom, his dying grandmother, and his struggles with hedonism give the album a very human edge. Songs about blood diamonds, gold diggers, and the crack epidemic show his desire to be an influential social critic, too. Kanye reeled in an incredible stable of guest appearances for his second album. From huge rappers — Nas, Jay-Z, The Game, Lupe Fiasco, Common — to up-and-comers — Consequence, Cam’Ron — to non-rap singers — Jamie Foxx, Adam Levine, Brandy — to a couple of head-scratching WTF cameos — film director Michel Gondry playing a drum solo. In August 2005, just a year and a half after The College Dropout’s release, Kanye and Roc-A-Fella dropped Late Registration. The reviews were ecstatic and the sales huge. And it’s pretty obvious why: Late Registration is one of the most compelling, enjoyable rap albums I’ve heard. Kanye’s experiments with a towering, beautiful sound are a resounding success. From front to back, every song has an interesting, distinct texture rooted in real people playing real instruments. The songs themselves are fantastic, too. His rhymes are a major step up, with far fewer duds of lines. 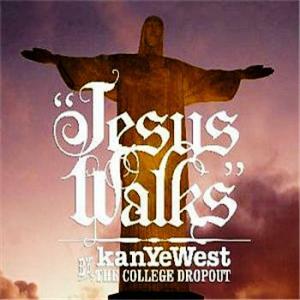 Nothing is quite the emotional stunner that “Jesus Walks” is, but several tracks come close. Anyone who thinks they don’t like Kanye should listen to “Hey Mama,” a heartwarming and beautiful track. But the crazy thing is that almost every song is up to that standard. I’d rank maybe a dozen of these songs as better than every track on The College Dropout (minus “Walks”). Some of the tracks hit hard — the jubilant “Touch the Sky” — while others are quiet heart-tuggers — the mournful “Roses.” Other than the four skits (only 30 seconds long each), there really isn’t a single down point. My favorite song might be the slick, hilarious “Gone” featuring Consequence and Cam’Ron that closes the album. A bouncy string arrangement and a great Otis Redding sample give “Gone” a fun, almost wacky, texture to match the hysterical verses. 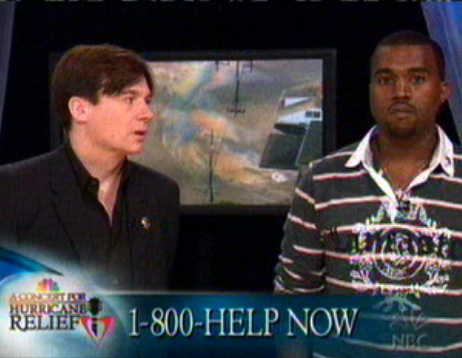 But Kanye didn’t let the distractions put him off course from making music. He hit the studios with the same intensity and ambition as his previous sessions. For his third album, he had two main goals: 1) incorporate dance music (particularly house and electronica) into his production, and 2) design his raps for his live shows. He also had toured with some rock bands (Rolling Stones, U2) prior to recording the album, and — inspired by the way the concert-goers responded to arena rock — wrote and produced the album to be more anthemic. The last major creative change Kanye planned for the album was to steer his lyrics away from the style of social commentary songs like “Diamonds of Sierra Leone” and “Jesus Walks,” and towards his first person narratives and confessionals. 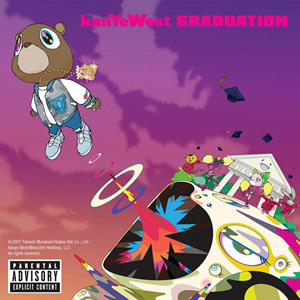 In September 2007, about two years after the release of his second album, Kanye released Graduation, his third album. 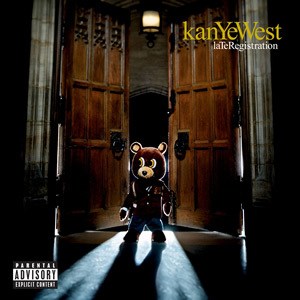 Its sales topped those of College Dropout or Late Registration, and the critics were again enthusiastic, if slightly restrained, in their praise. My take is that Graduation, while admirable in demonstrating Kanye’s improving craft, is a major step back from Late Registration. There’s nothing strictly bad (and the complete excision of the dumb skits is appreciated), but few of the songs connect the way most of those on his sophomore album do. There are a few highlights, of course: Daft Punk-sampling “Stronger” is rightfully one of Kanye’s trademark songs, and perhaps his most radio-friendly track (with apologies to “Paris”). “I Wonder” is a gorgeous ballad, and “Flashing Lights” is symphonic bliss. His love letter to Chicago, “Homecoming” (featuring Coldplay singer Chris Martin), features one of my favorite hooks in any Kanye song, a smoky and evocative countermelody to Martin’s singing and Ye’s rapping. But there are also a handful of filler tracks that I rarely ever listen to, and there are no moments that emotionally resonate the way some of his best tracks from Dropout and Registration do. Despite the continued sales and critical reputation of his music, West would soon endure personal strife. The months that followed the release of Graduation included two emotionally devastating moments for West. The first, and most crucial, was that Kanye’s mother died during a plastic surgery operation. Again, go listen to “Hey Mama” as you think about that. 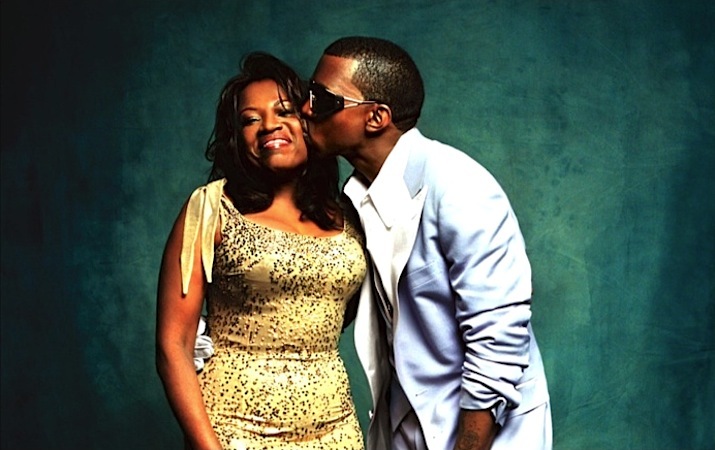 Donda West was Kanye’s cornerstone. Through all his ups and downs, his devotion to his mom was infinite, and they always had an extremely tight relationship. Her death seems to have been particularly painful to West as some of his ensuing music suggests that West blames himself for her death: His fame and wealth and his intense consciousness of image were perhaps part of the reason that Donda wanted to “fix” herself — something West never wanted her to do. This sent West into an emotional tailspin that grew more extreme a few months later when his longtime girlfriend and fiancee, Alexis Phifer, ended their engagement. Two major other impulses seem to have played into his next album. One is that West became worried his “rapper” title was starting to trap him in a box. He had an urge to escape this constraint and create something different. Additionally, he became frustrated that with a notion that was somewhat pervasive at the time that “autotune” and “drum machines” where shorthands for lazy, low-rent art. He felt strongly that they’re tools, and — like any artistic tool — can be used to create good things and bad things. His grief and artistic curiosity dovetailed into the creative vision for his fourth album. In just three weeks (compared to the months and years of his previous albums) he recorded his all of his vocal tracks for the upcoming album. Production came together quickly, too. In November 2008, barely a month after he completed his recordings, his fourth album, 808s and Heartbreak, dropped. And it’s a doozy. If you didn’t know it was Kanye West, you probably wouldn’t recognize these recordings as his. It more closely resembles bleak indie pop than commercial hip-hop. Yet Kanye is still clearly there underneath the new trappings. His mastery of sonic texture is evident from the opening moments. He uses autotune to make him sound alienated and broken. The sparse surroundings give the album a frosty sound. Kanye uses the vocoder artfully, with expressive flourishes and heartbreaking vocal lines. It’s a fascinating entry into Kanye’s discography. It’s his least characteristic work, so it feels a little bit like a lark. But it’s also a turning point: It shows Kanye hungry to be something higher, more ambitious, more eternal than a normal rapper. It’s far from a perfect album. The style grows a bit weary so that the fantastic final two tracks, “See You in My Nightmares” and “Coldest Winter,” lose some of their appeal. 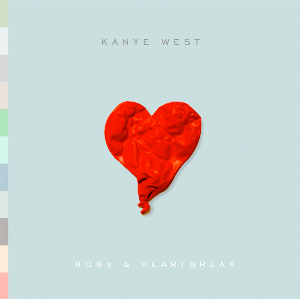 But I find that I keep coming back to 808s more than either Dropout or Graduation, particularly its highpoints “Say You Will” and “Love Lockdown.” The latter ranks as one of Kanye’s most evocative tracks, summarizing the angsty feel of the album but buoying it with a relentless tribal drum beat.